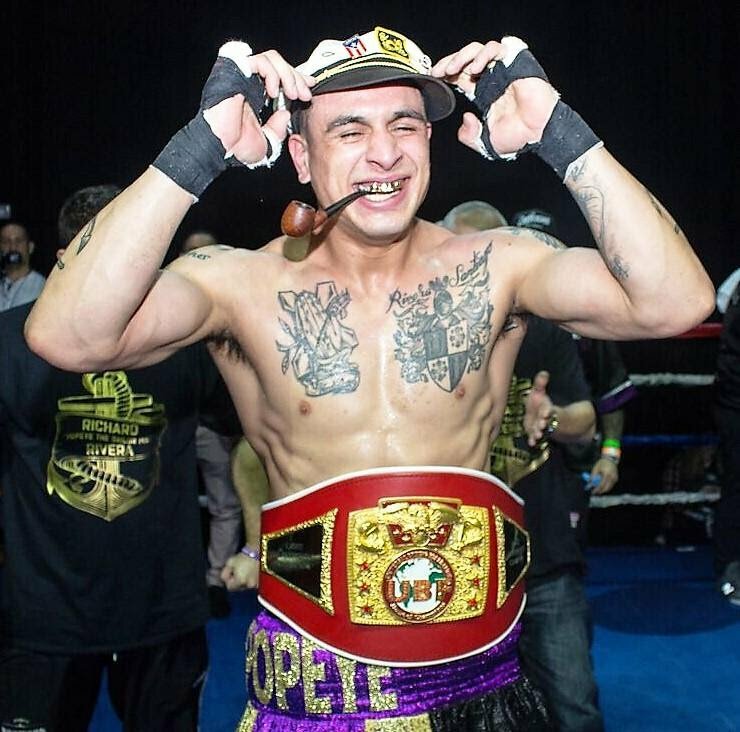 Undefeated light heavyweight prospect, Richard “Popeye The Sailor Man” Rivera (7-0, 6 KOs) will headline “Fight Night at the Capital” at the Xfinity Centre in Hartford, Connecticut against Jaime “Zarco” Solorio (12-3-2, 9 KOs) on Saturday, June 16th in the inaugural fight for his new boxing promotional company, Hartford Boxing Promotions. Rivera partnered with his longtime trainer and manager, Tony Blanco and Hartford Boxing Center gym co-owner, Michael Tran to form Hartford Boxing Promotions, a couple of months ago. Together the trio will showcase their first boxing fight in front of what is expected to be a packed venue with plenty of pro-Rivera fans. Despite this being the fifth time that Rivera will headline a boxing event, it is the first time that he will do it in his native Hartford after fighting all over the New England area for the last year and half. Hartford has a rich history of great boxers that have included WBA and WBC welterweight champion, Marlon “Magic Man” Starling, world title challengers, Israel “Pito” Cardona and John Scully, and 1996 USA Olympic Boxing Team captain, Lawrence Clay-Bey. The extremely popular and talented Rivera will undoubtedly do his part to get Hartford excitement about boxing this weekend as he faces his best opponent thus far in his young professional career. The hard-throwing, tough Mexican fighter, Solorio has won four of his last six fights, while two of his three losses were to undefeated fighters. This eight-round main event will be for the vacant light heavyweight ABF Continental Americans title. Rivera will also make his first title defense of his UBF New England belt that he obtained via a brutal third-round knockout victory over Kevin Cobbs, earlier this year. “Fighting for another regional title is a good stepping-stone for me. It means that I am moving in the right direction towards bigger and better things like potentially fighting for a world title in a couple of years,” said Rivera. “Fight Night at the Capital” will feature eight boxers from Connecticut on the undercard, four of whom hail from Hartford. The extremely hardworking, smart, and disciplined-oriented twenty-seven-year-old orthodox fighter has scored four consecutive knockout victories, which raised his impressive knockout percentage to eighty-six. In his last outing in April, he knocked down his opponent, Randy Campbell so hard to the canvas that he broke his ankle in several places and had to be lifted out of the ring on a stretcher, just thirty seconds into the fight. Rivera has been an extremely active fighter, boxing every two to three months. This will be his third bout of year. He had five last year. He has looked better and sharper each time that he has been in the ring. Rivera would like to fight two or three more times before the end of the year, obtain another regional belt, and continue to climb up the light heavyweight divisional rankings. As one of the best and without a doubt, the hardest hitting boxing prospects in New England, Rivera has the potential to one day fight for a world title. Despite only having seven professional bouts, he has a great deal more experience than the average boxer with a similar number of fights because he has gained invaluable boxing exposure by sparring with many great fighters and he has held his own with them. He has been in the ring with former world champions and title challengers, Demetrius Andrade, Chad Dawson, Jean Pascal, Peter Quillin, Cardona, and Scully, along with up-and-coming contenders, Joe Smith Jr., and undefeated Marcus Brown and Charles Foster. Rivera, who started boxing before he could read or write, compiled a good (40-8) amateur record. Along the way, he defeated Elvis Fergus, who was the number one-ranked fighter in his division and Miguel Tatoe, who was the fourth best boxer in his weight class. He made it to the semifinals of the 2016 Olympic Trials. Rivera won the 2016 Rocky Marciano Tournament and the 2015 Hartford Boxing Tournament. For more information on Rivera and the latest updates on his upcoming boxing bouts, friend him on Facebook at Richard Rivera and add him on Instagram @Popeye The Sailor Man. You can also check out his boxing company, Hartford Boxing on Facebook at Hartford Boxing Center, on Twitter @hartfordboxing, Instagram @hartford.boxing.center, and YouTube: /c/Hartford Boxing Center.